Captain America: The Winter Soldier has only just come out, but here at Flicks and the City we’re already looking ahead – not even to Cap’s next appearance – which will be in next year’s Avengers: Age of Ultron – but to Captain America 3, and what we’d like to see in that. 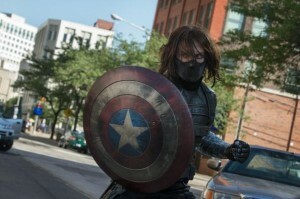 Marvel were obviously supremely confident about The Winter Soldier, and in the character of Captain America in general, as they greenlit the third solo venture, with directors Anthony and Joe Russo in tow, before The Winter Soldier had even been released. Fans and critics’ reactions have justified this faith. And Marvel have also stood firm in their release date of May 6 2016, despite currently sharing this date with DC’s Superman/Batman project. The Winter Soldier is a brilliant film – read our review here – and one that raises many interesting questions about all future Marvel movies. The rest of this article will discuss the plot of The Winter Solder, so if you’re yet to see it go away, watch it, and come back afterwards. And if you’ve already seen it, you should maybe go and see it again, as it’s really very good! As well as almost everyone who was in Captain America: The First Avenger coming back in some form in this sequel, whether it be in person, in photos, flashbacks or videos, there was Sam Wilson AKA The Falcon. Anthony Mackie brought this comic-book character to life. The character had to be changed somewhat from the comics to work both on the big screen and with the tone of Marvel’s movies. His costume was toned down a lot and he works well as an ex-soldier trying to acclimatise post-duty. He has that in common with Steve Rogers so they have good chemistry. But the real reason we want more Falcon is purely because he’s just so cool! That leap off the bridge. There were rumours he’s going to appear in the Age of Ultron thought now that seems not to be the case. But either way, lots more Falcon in the sequel please! Rumelow – or Crossbones as he becomes – was a decent secondary henchman-type villain in The Winter Soldier, but the fact he didn’t die and we see the state he’s in at the end indicate that he’ll play a bigger role in the sequel. 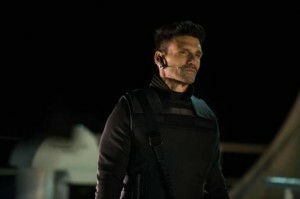 Frank Grillo certainly looks like he could beat nearly anyone in a fight, though Cap does dispose of him adequately. Now that he’s transformed at the end of the movie, he can become something a lot more menacing down the line. Let’s not forget: this is the character who kills Cap in the comics (whether he fired the lethal shot or not). Okay, Peggy Carter is Rogers’ first/true love, but we’d love to see a bit more romance in the sequel. There’s a bit of will they/won’t they between Cap and Black Widow – they joke about being engaged in the Apple Store and do kiss to avoid being spotted. There’s definitely some sexual tension between them with Cap uttering lines like ‘yeah, because I bet you’d look terrible in a bikini’. Avengers Assemble, as well as Black Widow’s arrow necklace in The Winter Soldier, seemed to hint there may be a relationship between her and Hawkeye, and this would be interesting to see. So, it would seem more likely that Rogers may have a relationship with Sharon Carter, his sometimes-girlfriend in the comics, and niece of his first love, Peggy. Sharon, or Agent 13, didn’t appear much in The Winter Soldier, but importantly she was shown in the shooting range at the end, suggesting she may have a bigger role to play in the sequel, possibly as a love interest. So that’s just a couple of options, and we didn’t even mention Winter Soldier and Black Widow having a fling as happened in the comics! We’re not fussy, it’d just be nice to have a bit of love! The Winter Soldier makes statements about national security and other issues that are going on in the world today; the price of freedom, drones, policing and taking people out to keep others safe. The fact it highlights these issues elevates it as a movie over many others. The movie is like a 70s spy thriller, and works very well because of this, but putting Cap in different situations, and perhaps different genres could work equally well, highlighting other real-world problems. The Winter Soldier had lots of Easter Eggs and references to other Marvel characters. There were countless mentions of Stark Industries (who built Falcon’s suit) and Stark Tower was shown briefly on a monitor. There were mentions of Bruce Banner and more excitingly Stephen Strange (and let’s not even start on that mid-credits scene). So it’s easy to say we’d like lots more of this in the sequel. Since Avengers Assemble, there’s always going to be a feeling of ‘why not just get the other Avengers involved?’ when a single Avenger faces off against a villain. 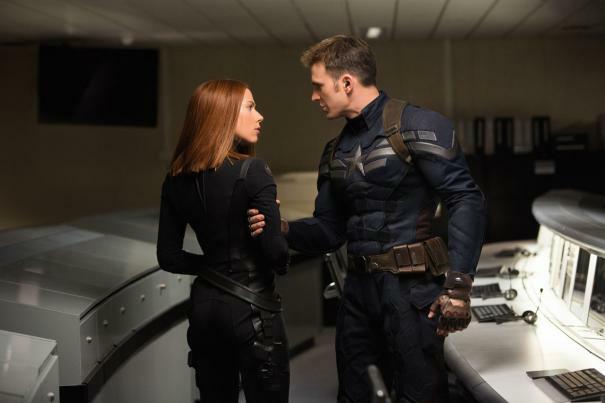 This is arguably less valid in The Winter Soldier as we have Cap and Black Widow, as well as The Falcon, and it is a very personal foe for Rogers. But we’d like to see this in the sequel, with the most likely candidate being Hawkeye as he’s unlikely to have his own film any time soon. As per the comics, the fall of SHIELD could lead to Tony Stark taking control, but we’ll wait to find out more about that in Age of Ultron. No, we’re not just pushing for Marvel to kill him off, but this is a key piece of Captain America’s comic-book history, and several things in this film suggest this could happen, if not in Cap 3, then slightly further down the line. 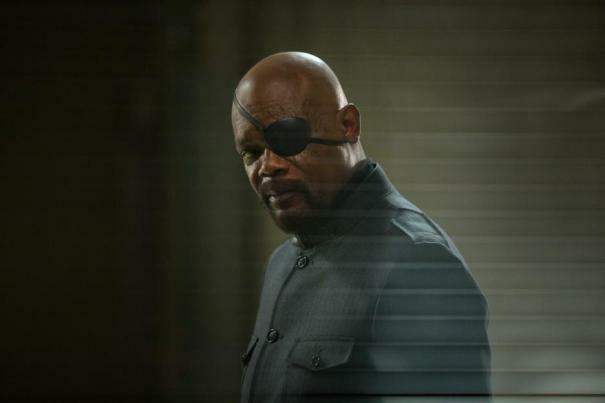 Bucky is back, Crossbones is still at large, and Sharon Carter is honing her marksman skills. So ‘Bucky’ Barnes is back and, though evil to begin with, he’s showing signs that he’s remembering his past, i.e. pulling Cap out of the water and visiting his exhibit at the Smithsonian. As well as this, we’ve seen how good a fighter he is, and the fact he caught the shield seemed like the film was foreshadowing the passing of the torch. I doubt he’ll step into this role in the next film, but it seems certain we’ll see a much more human side to Bucky in the next outing, and perhaps Cap will be forced to team up with him. Lover of superhero movies and (nearly) everything Pixar have made, I get a bit obsessed by the awards season and try to see everything nominated for everything. Worshipper at the church of Tommy Wiseau. Forever getting annoyed at people in the audience at cinemas.